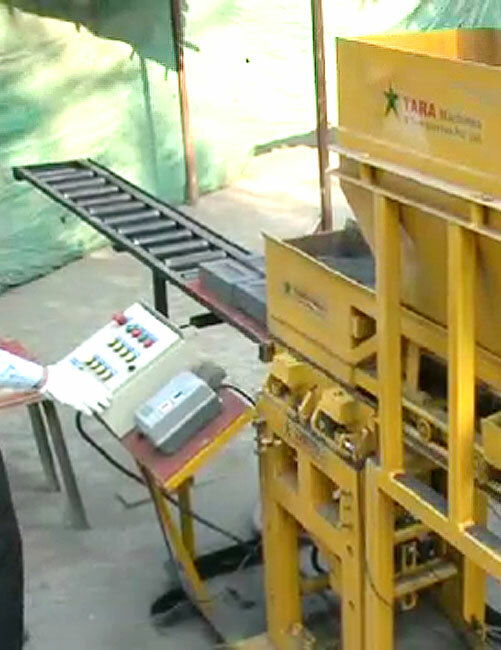 TARA Fly Ash Technology offers state of the art production system designed to manufacture high quality flay ash bricks. The new TARA MechRam-X1600 is a high capacity integrated production system with a high -efficiency compacting mechanism in which the functions of feeding raw materials, including fly ash, and compression of bricks are fully automated. The Bricks produced are transferred on the Pallets, which move on a Roller Conveyor. The TARA MechRam-X1600 is unique in providing biaxial compression and superior product quality. Why should you choose TARA MechRam® - X 1600 ?